Most Australians live in cities and cling to the coastal fringe, yet our sense of what an Australian is u or should be u is drawn from the vast and varied inland called the bush. But what do we mean by ‘the bush’, and how has it shaped us? 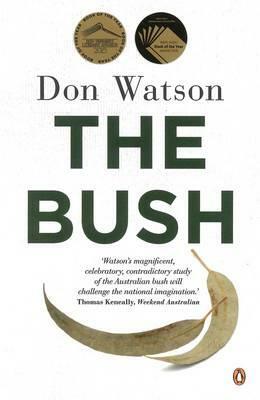 Starting with his forebears' battle to drive back nature and eke a living from the land, Don Watson explores the bush as it was and as it now is: the triumphs and the ruination, the commonplace and the bizarre, the stories we like to tell about ourselves and the national character, and those we don’t. Via mountain ash and mallee, the birds and the beasts, slaughter, fire, flood and drought, swagmen, sheep and their shepherds, the strange and the familiar, the tragedies and the follies, the crimes and the myths and the hope u here is a journey that only our leading writer of non-fiction could take us on.